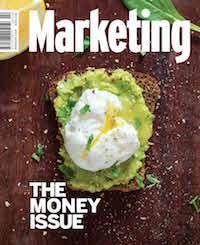 What's a marketer to do when technology and currency collide? 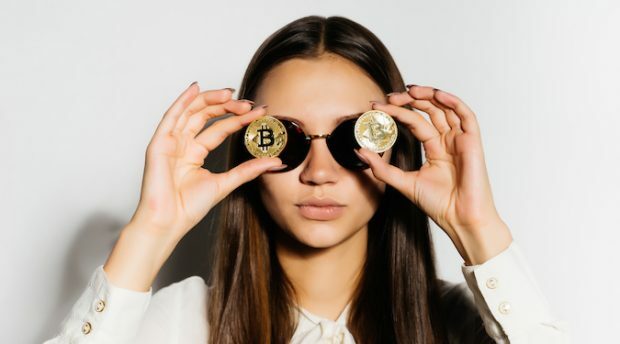 It is inevitable that cryptocurrencies will emerge and eventually gain mass adoption and dominate global commerce, says Steve Sammartino. Marketers need to stop looking under the cryptocurrency hood and consider its global potential. What is money? Once we’ve grasped the basic concept – as children – that it can be used to get stuff, we never ask that question again. We become quite happy to get money whichever way we can. We seem to intuitively learn how it’s used in a transactional and societal sense. What’s not intuitive is that money is temporal, layeredand malleable. We myopically see it as a tool. Prices often change, but the money doesn’t. It turns out money does change. Money changes because in real terms it’s just a technology, and all technology evolves. It periodically goes through its own disruptions that change its shape and how it’s used. It has changed a lot across the millennia of human experience. The problem is that it happens so rarely that we hardly ever get to notice it, let alone experience it. Commodity money such as cowrie shells and sharks’ teeth arrived in barter economies. The agricultural era brought about grain receipts. In the Iron Age we developed ferrous coins. In the Age of Discovery, we traded bills of exchange. In the Industrial Revolution Fiat currency (our current model) took dominance. Now that we’ve entered a digital age, it is inevitable that cryptocurrencies will emerge and eventually gain mass adoption and dominate global commerce. The transition has been underway for longer than we imagine. Most currency that exists today is merely numbers in systems people can make claim to – less than 10 percent of which actually exists in physical form. The move to crypto is simply a step change that improves the fundamentals of digital money. While we could discuss in detail how the technology works, it’s far more informative for us as marketers to understand why it works and how we should assess the changes from a business perspective. After all, few of us understand how the internet works or our cars when we look under the bonnet. As with all tools, if an improved one comes along, there’ll be a portion of society that quickly substitutes the standard with the new, better version. The pattern of currency evolution above is proof of that. But money – or, more accurately, currency – is different. It has some unusual and weird properties. It can’t just be better, it needs many forms of consensus to accompany it. We all need to agree on a winner. Before a currency can become successful enough for wide mass adoption it requires scarcity, durability, divisibility, portability, acceptance, trust and stability. Cryptocurrencies pass the first four tests, but they are yet to be widely accepted and trusted, though they will over time. It may take a decade or more, just as the web itself had a period of genesis. A currency transition takes time, because we need to remain confident the system can be held together between transactions, with this new thing as the economic fulcrum. When we do pivot to a new currency, the change is always slow. We like to have redundancy, layers of currency underneath the one we use to provide a margin of technological safety. It’s no surprise we still price oil, grain and metals such as gold on the market daily. We need certainty and risk reduction. Socially, we need substitutes in case something goes wrong with the tool we are currently using. And when a new tool like cryptocurrency arrives, it never lives in isolation. But in some leading money market reports, Bitcoin (the most well-known cryptocurrency), is being priced among the AUD, USD, oil and gold. That’s because Bitcoin, in real terms, has become a brand. Good currencies not only require the six elements for success, in many ways they actualise into brands. We trust their sustained performance and ability to reduce our risk while we hold them. The US dollar has been such a strong brand for such a long time, other countries hedge their own currency in it. The US was the enemy of Saddam Hussein, but when he was finally caught, he was carrying one million dollars of its currency. An ounce of gold has been able to buy a tailored suit and leather shoes for over 1000 years. And Bitcoin has become the beachhead crypto people want to back as an eventual winner, causing rampant speculation, and in doing so undermining its ability to perform the task of a currency. It’s undermined because it no longer has the stability required for adoption. In times like these, it pays to remember whose brand we ought be building: ours, not that of a currency. We must remain entirely agnostic as to which currencies we accept. In this case we need to be late adopters, and only accept new payment methods that make buying easier for consumers by reducing transaction friction and cost. At the same time, we must not be afraid to add a new option to our existing payment layers. Watch carefully as the market evolves and globalises; this is probably where and why cryptocurrency will eventually become the dominant force in global trade. The globe is not as it seems to us in the developed world. Billions of people on earth rely solely on cash to trade. Billions of people do not even have bank accounts. This means most of the world’s population can’t participate economically in the internet. While almost half of the world is now on the internet, the vast majority still can’t transact on it, simply because of the money they use. The world’s poor – those most likely to benefit from the internet – are the worst affected by having cash as their primary currency. Cryptocurrencies have inordinate potential in developing markets because they solve the internet/cash problem. In fact, cryptocurrency can reduce the risk of operating in a cash world, while having all the benefits of cash. Close to five billion people will be using mobile phones by the end of 2018 and, in the developing world, people are more likely to have a mobile phone than indoor plumbing. And all anyone needs to use cryptocurrency is just that, a mobile phone. This tells us of the possibilities. Cryptocurrency has a serious chance of playing industrial leapfrog and becoming the primary form of currency around the world – led, ironically, by less technologically developed countries. What we can’t say is which cryptocurrency(s) will be the eventually winner(s), or even if western governments will try to outlaw them, and introduce their own rather than cede fiduciary control. But we can be sure that this revolution is real, and over time we’ll wonder why anyone ever trusted a piece of paper with a person’s head on it.